Etc. Please send us feedback and inquiries to the (City International Association Yotsukaido) Yokka. Phone number (Required)Please enter the phone number of contact take ※. Security Capture (required)Please enter the characters that you see in the picture this time slot ※ To prevent spam. 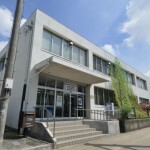 ※ phone reception is available only on the day of the opening of the Center for International Exchange.